Andy has produced, engineered and toured with the likes of Status Quo, Bonnie Tyler, Ginger Wildheart, Uriah Heep, Francis Rossi, Mel Gaynor, Greg Jackman, Del-Amitri, Travis, Tiger Lillie's, Towers of London, Hayseed Dixie, Million Dead, Breed 77 as well as Universal, Sony & WMG. He is also involved in film and tv, location and media post production and is a registered member of PRS, APRS, PPL, MU and the MPG as well as being a full voting member of the Brit academy. Andy studied acoustic composition and composition with electronics at the University of Hertfordshire, graduating with a BA(hons) in Electronic Music in 2001. 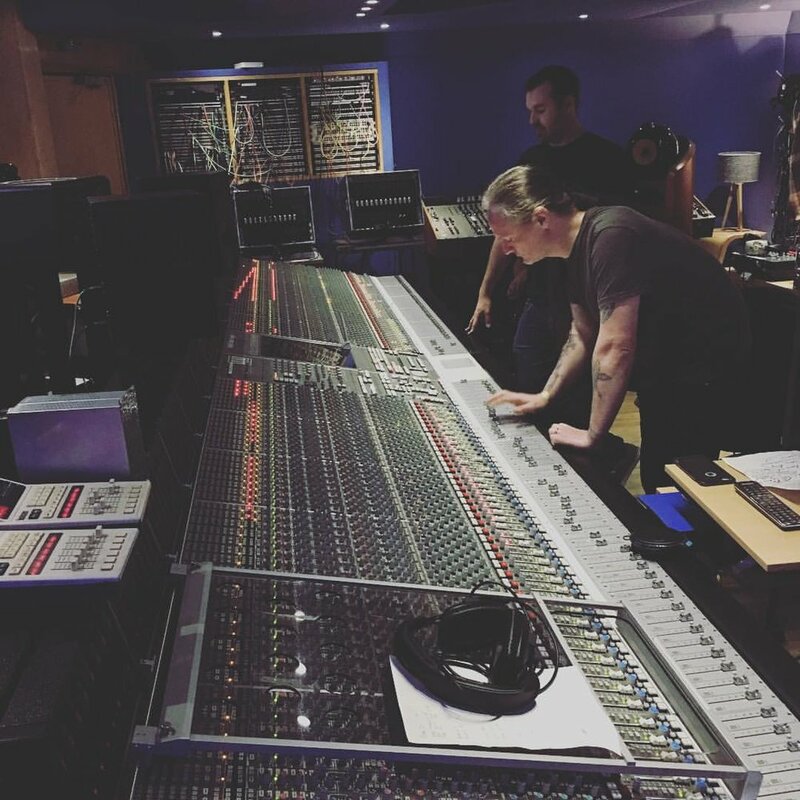 Whilst professionally active he gained an advanced C&G in Music Technology with distinction at the City of Westminster College and an MA in Audio Production from the University of Westminster. He established himself as a producer building Studio Sonic in Wallington, Surrey in 2002 before relocating to larger premises in London’s Denmark Street from 2004 – 2009, where he also produced live sessions for Total Rock Radio. He then became the resident producer at Scream Studios, Croydon 2009-2011 before building Strummers Recording Studio, Holloway 2012-2013 and then moving onto his current studio at The Brook in Wallington in 2014. Andy currently freelances as a producer, mix engineer and recording engineer. After some years teaching BTEC Diploma in Music Technology Levels 2, 3, 4 & 5 he is now a visiting assessor for JAMES. Current live projects he is involved in include playing for Rich Ragany & The Digressions, Shush, Scott McFarnon, Toccata Music Group and he also runs a local community choir.